As part of my job managing social media for businesses, I spend some time doing research and looking for companies that aren’t using social media properly. It usually doesn’t take me long to know if they’ve got it figured out or not. I see examples of big brands and smaller business doing it wrong, but more often than not, it is smaller businesses making mistakes – something that is probably linked to limited resources or marketing budgets. There’s little point in having a Facebook page if your target audience isn’t engaging with it. Think of what appeals to your audience and make sure you share that type of content. Create ‘call-to-actions’ posts by carefully considering the language you use – text that would make you want to click on a link or find out more. Interesting posts should do well organically (especially if it’s shared when your audience is most likely to be online – find out the best time by looking at the page insights), but be prepared to put some budget behind carefully-targeted monthly adverts or boosted posts, too. It doesn’t have to be an enormous budget, even a modest amount can achieve a great audience reach. Social media is closely tied to PR. How your business or brand presents itself on social media is vitally important. 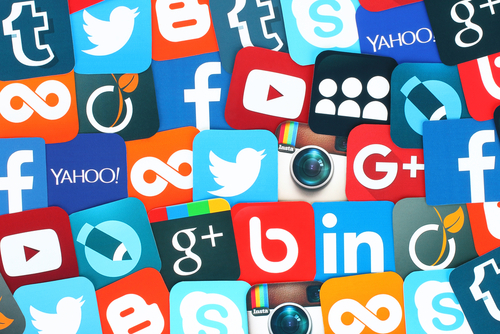 We’ve all read about the countless social media faux pas made by various companies. One that comes to my mind is DiGiorno Pizza’s inappropriate use of the #WhyIStayed Twitter hashtag, following Janay Palmer Rice’s decision to stay with NFL running back Ray Rice after a domestic violence incident. DiGiorno Pizza tried to join the conversation by tweeting, “#WhyIStayed You had pizza.” What’s worse is its social media manager kept apologizing over and over again hours after the incident. Do not put someone who doesn’t know what they’re doing in charge of your social media channels. At some point, even the best business will receive a disgruntled customer review. What’s worse than an online negative review, is if the business responds incorrectly (for example, defensively or angrily) or doesn’t respond at all. I have often been discouraged from buying something because of unanswered negative reviews on businesses’ social media channels – it suggests to me that they don’t care about bad service. It might be tempting to delete negative reviews too, but do so with caution. Silencing customers isn’t often the right approach, especially during a time where businesses are applauded for transparency. I used to ’like’ a tourist board on Facebook – it is one of my favorite cities in the world – but I had to click ‘unlike’ because its posts were so bland. This city is such a wonderful destination – it has character, an interesting history, beautiful scenery and lots of exciting things to do and see. Yet, its Facebook page made me want to fall asleep. Don’t be afraid of injecting some personality. I also love it when brands use humor in the right way (for example, how the UK supermarket, Tesco, responded to a funny and lengthy customer complaint posted on its Facebook page).